BRYAN EATON/Staff Photo. 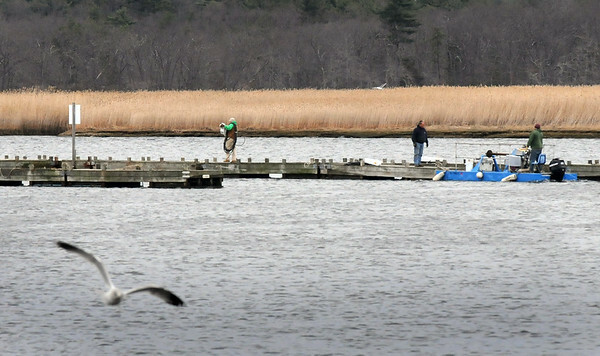 Several docks went in to the Merrimack River several weeks ago during some warm weather. With temperatures on the rise again more docks are going in, here at the North End Boat Club in Newburyport.